The public sector is facing a crisis. Despite being tasked with overseeing and ensuring compliance across industries, government agencies and organizations often don’t have a handle on their own internal compliance practices. In fact, less than half of public sector HR teams have implemented an automated solution to help them manage their compliance efforts, relying instead on siloed, outdated management tools like spreadsheets. Progress is being made as the public sector starts to adopt automation, but the process is gradual. According to State of Human Capital in Management and Government, a report by HCMG, WBR Insights and Cornerstone OnDemand, 62% of government employees said their organization is currently investing in technology to support digital transformations, or will be in the next 12 months. Still, even as artificial intelligence and data-enabled software starts to simplify processes and procedures throughout certain departments, HR teams are often last on the list for upgraded technology, including compliance tools. Confronted with tight budgets that can change at any given moment and initiatives that are often delayed due to new leadership, it can be difficult for HR professionals in the public sector to get approval to implement new solutions, but with compliance management on the line, they simply can’t afford to wait any longer. To change the status quo, it will be up to HR leaders to prioritize these innovations by demonstrating the difference that automation can make. After all, effectively implementing modern, automated compliance tools can improve efficiency and help HR teams keep up with changing laws, while giving workers an opportunity to apply the human touch where it counts. 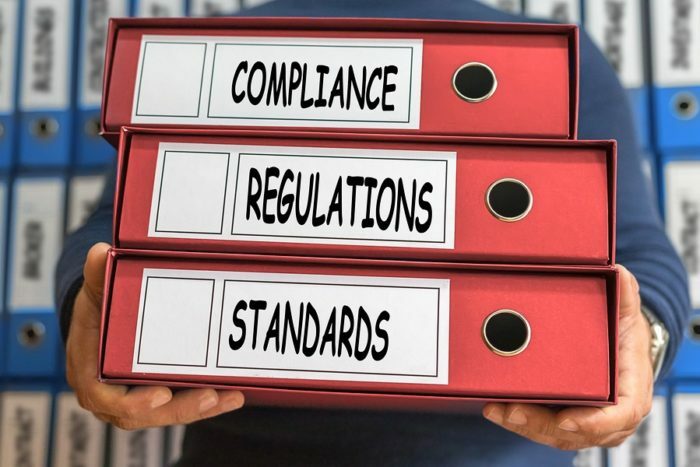 According to the report, the majority of HR teams are spending 36% to 60% of their time on managing compliance requirements, but a new age compliance tool can take many tasks off their plates. For example, automated compliance systems track internal policy and security documents and enable HR departments to create controls within the software that are specific to their organization. If an employee or manager forgets to take very sensitive and critical compliance training, an AI powered compliance tool can not only flag this issue, but also remind that employee directly with an automated email. The tool also is capable of escalating any notices should the employee not complete the compliance activity as needed. With these systems and processes in place, HR employees would get back time to focus on more strategic tasks, such as hiring and people management. Change won’t come overnight — the public sector has historically been slower to innovate than its industry peers, and much of that is the result of a reluctance of people in power to embrace change. Yet, millennials are now the largest generation in the U.S. workforce, and they’re bringing with them a technology-first mindset — after all, many of them don’t remember a world without computers. As more millennials obtain positions of power in the public sector, the industry will start to see the use of automation increase. Government agencies and organizations face specific challenges when it comes to compliance, as processes can change based on budget cuts or administration priorities. Even for organizations that have been proactive in implementing these tools, the nature of how the government operates can complicate things. Jessica Lynch, Director of Human Capital Strategy and Management for Logistics & Industrial operations at Naval Air Systems Command has experienced these challenges firsthand. “What’s frustrating is when the regulations are just changed,” Lynch said in the HCMG report. “Some of them change so frequently. You have to go back and reprogram your system.” Lynch has found that deploying automated systems into her organization’s compliance strategy has been integral in helping mitigate many of these challenges. “Once you have a process set up, and that is the nice part of automation, you don’t need to keep doing it,” she said. “The system will enforce that for you.” With the right solutions, employees can take control of the work that matters — and hand over the manual processes to automation. Many long-time employees remain concerned about the rise of automation because they fear their jobs may be at stake, but on the contrary, automation can help employees and leaders do their job better. “The reality is that we’ve got a lot of tenured leaders and supervisors in the federal government who still think in terms of people management and knowledge management from the human perspective and less on how technology enables those processes,” said a manager of performance management solutions in the Federal Hiring Management Agency. These concerns are valid — a report from McKinsey global institute predicts that automation could take over 800 million jobs globally by 2030. But despite these frightening statistics, new technology will still require a human element. Lynch says automated systems will evolve the role of compliance subject matter experts. These tools will continue to rely on humans to implement, analyze and communicate across systems. With the right solutions, employees at these organizations can take control of the work that matters — and hand over the manual processes to automation. This article originally appeared on ReWork, a publication exploring the future of work. Steve has served 11 years of Federal Government competitive service with 7 years in HR and HR IT leadership roles ensuring effective talent management processes at a bureau level, at the Department level and at a Shared Service Center where he delivered solutions for multiple agencies. He is a proven, business-savvy leader with a track record of providing high quality, innovative services and solutions. He is also adept at achieving desired outcomes from multiple initiatives simultaneously, working collaboratively and decisively to overcome obstacles and deliver results, and creating a continuously learning, improving and adaptable organization. He has a resilient proficiency and is effective at heading up change efforts, building organizations, uniting divergent groups, and leading a diverse and geographically dispersed workforce. Utilizing his initial professional experiences as a high school teacher, he is a seasoned leader who leverages resources, information, knowledge, skills and technology to develop people, foster relationships and build partnerships.